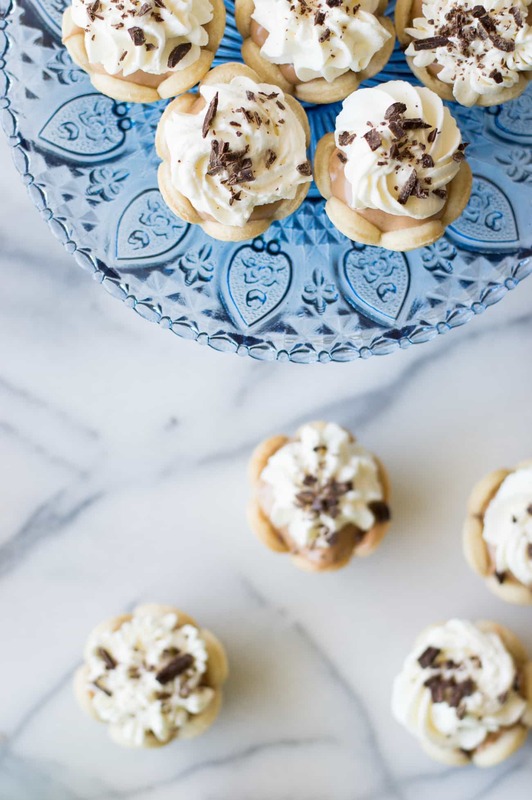 Mini French Silk Pies. Easy to make than you probably think and decadently DELICIOUS! 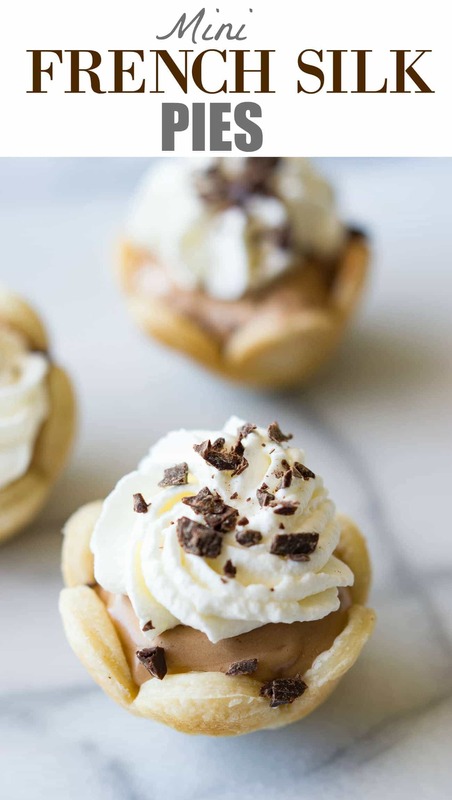 Silky, creamy, chocolate bliss topped with homemade whipped cream. 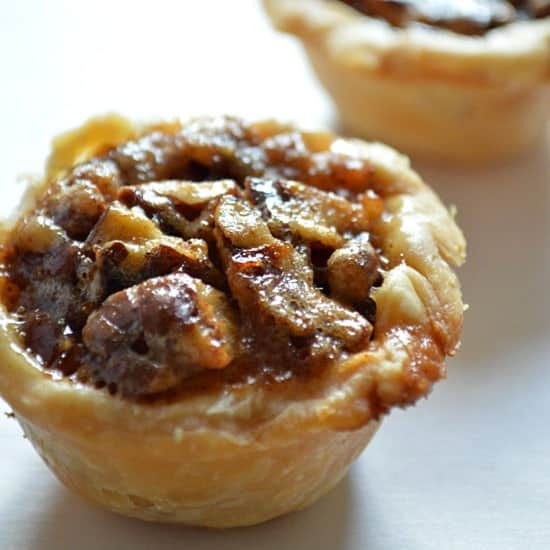 All in bite size mini pies! 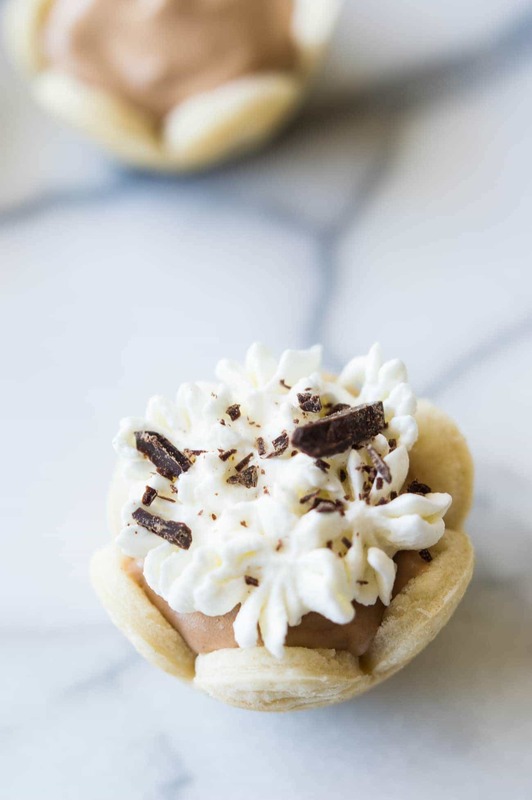 Mini French Silk Pies. Silky. Creamy. Decadent. I’m in love. I have made these little pies a few times now trying to get it just right. And I finally succeeded and I feel super confident that you can make these easily! 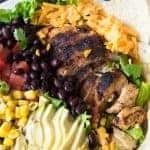 Since I have all the tips and tricks to help you along the way. I was a little nervous about attempting this since it seems super complicated. But it really isn’t. There’s just a few particulars that need to be in place. But first. Can we just bask in the beauty of these little pies?! I loooove me a little mini dessert. And given how popular my pecan pies are I have a feeling you feel the same as me. Plus I’ve worked on my pie crust skills a little bit since then. And I’m super excited to tell you about that too! , bake for about 7 minutes and they come out soooo cute!! Some of mine have puffed up a little bit while baking, I tried poking the bottom with a fork prior to baking and they still kind of puffed up, but just give a little poke with the fork again after baking and it will go right back down. I was able to make 30 of these little pie crusts out of 2 pre-made pie crusts. I had to gather the scraps and roll out again to get the last 5 though. Now onto the pie filling. That smooth, delicious, heavenly pie filling. For starters, we are going to need ultra fine sugar. Easy peasy. 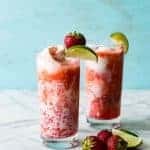 Just grab some white granulated sugar and pour it into the food processor (affiliate link) or blender, pulse it a little bit and you will end up with ultra fine powdery sugar. Perfect for this pie filling. If you don’t do this step you will notice a slight gritty texture to the filling and we want pure silk. Next. The temperature of the chocolate. The chocolate needs to be melted. But not warm. Warm will melt our butter. So, melt the chocolate. And then go about your business: do some dishes, check Facebook, text the hubs to tell him how productive you’re being today, pour a glass of wine. Now, check that chocolate. It should be still pourable, stirable, but cooled. Perfection. Also, know that the butter needs to be soft. Not melted. Just soft. About 30 minutes of sitting out at room temperature should do the trick. Just set out a stick of butter when you start on the pie crusts and all will be good. Now the fun part. We get to mix the filling. This is where you will give yourself a high five for owning a stand mixer. It’s going to do all the work for you and beat this filling into perfect submission. Cream the butter and that ultra fine sugar. Add the chocolate and vanilla. Now. Now comes the fun. We’re going to add one egg. A cold one from the fridge. And turn that mixer up to high speed. Let that mixer whip that up for 5 minutes. Now that you’ve been mixing for 5 minutes time to add the next egg. And yes, we’re going to add it cold from the fridge again. Are you noticing how this recipe likes things to be certain temperatures? It’s ok though. It will all be worth it. Once we add that second egg we are going to, you guessed it, mix on high speed for 5 minutes. High speed is the best for this recipe. If we don’t mix it fast enough then the eggs aren’t going to whip up nice and fluffy and we won’t have our perfect texture. 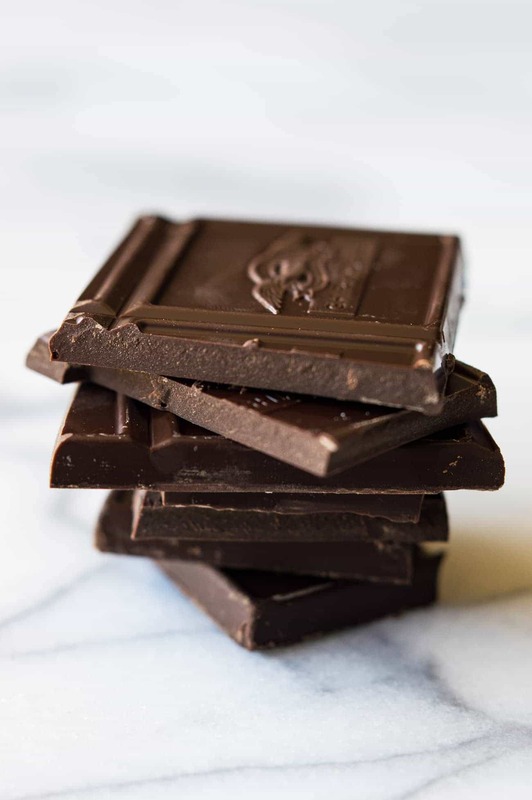 At the end of the 5 minutes we will be left with creamy, silky, chocolate bliss. Spoon this into the cooled pie crusts, pop them in the fridge and let them chill. Top with whipped cream and of course more chocolate. Boom. Heaven. ***Now here’s the part where I tell you: Yes. This recipe does contain raw eggs. I tried making this with a pasteurized egg product…whomp whomp whomp. Didn’t turn out. Texture was weird. Could have been that I didn’t mix it fast enough, some research advised me that the pasteurized egg stuff should be beaten even faster and longer to whip to perfection. But I also made batches with real eggs. I had no issues. I was weirded out at first too. But after lots of research I found, this is how French silk pies are made. And lots of people actually eat raw eggs. Who knew right? If you are pregnant, nursing, or have a weakened immune system, I would recommend not eating raw eggs, but guys..I’m not a doctor. I’m a blogger. So proceed at your own risk. The pasteurized egg stuff will work just fine. It tastes good! I just wanted to master the perfect texture. It’s your choice! Bake for approximately 7 minutes. If the bottom of the pies puff up gently press a fork into the pie crust to deflate it. Allow the pie crusts to cool in the pan about 5 minutes then remove to continue cooling on a wire rack. 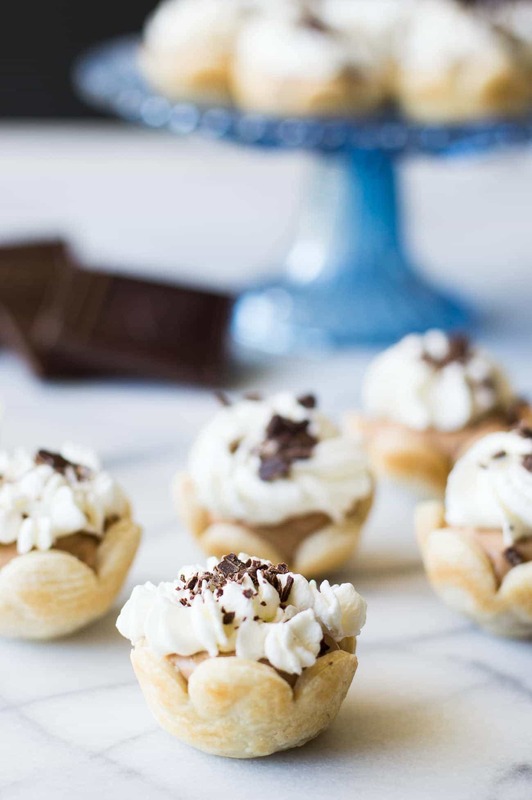 You will be able to make about 30 mini pie crusts with 2 pre-made pie crusts (this will require taking the scraps and re-rolling the dough out). To make the pie filling you will need to melt the chocolate and allow it to cool. It should still be stirrable but cool. Melt in the microwave heating in 30 second increments and stirring in between until all chocolate is melted. Scrape the sides and add the second egg, cold from the fridge. Mix for another 5 minutes on high speed. The mixture will be smooth and silky. Spoon into the cooled pie crusts and place in the fridge to allow the filling to set for about 2 hours. 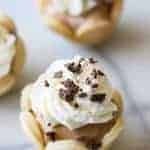 Prepare the whipped cream by mixing the heavy cream on high speed until thickened, add the powdered sugar and vanilla extract, continue mixing on high speed until stiff peaks form. 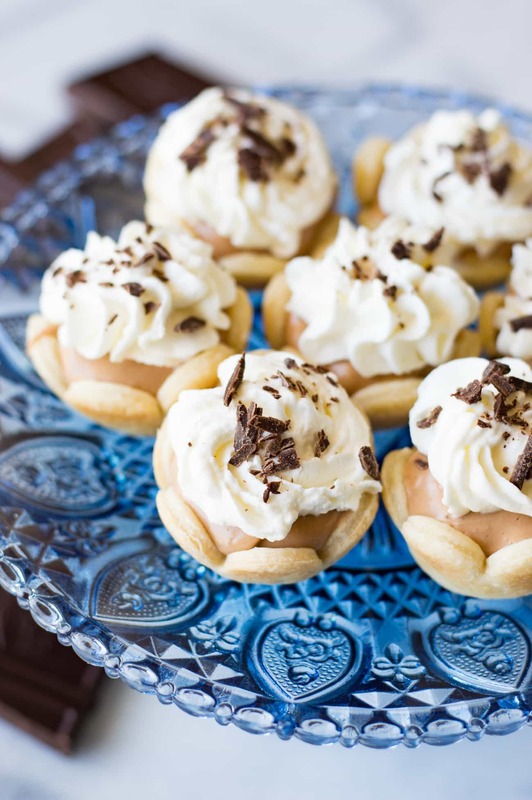 Add the whipped cream to a piping bag and pipe onto the mini pies, I used a Wilton 2C tip. Top with pieces of chopped up chocolate. Sign me up for anything chocolate! Gurl…you are speaking my language! I love French Silk Pie! These are adorable, and what a great idea to use the flower cutters for the crust – so pretty! French Silk Pie is my favorite!! I am actually making it for our Easter this year. LOVE these little mini pies, so much fun! I love that these are mini! So cute! Hi, I’m making these and have a few questions for you. Can they be frozen and then served at a later date? And how many pies does this recipe yield? Thanks! Hi Zoe! The recipe makes 30 mini pies. And I haven’t frozen them before. I did a little research on freezing French Silk Pies it seems that they don’t freeze very well. Sorry! I made these for a dance party and I LOVED them! They were a total hit. These are just the sweetest little things! I have a baby shower that I am hosting coming up and these will be so perfect. In Australia we don’t have Pilbury Pie Crusts. Can I use shortcrust pastry instead? Hi Sharon! Yes! A shortcrust pastry is exactly what it is, the Pillsbury ones are just pre-made refrigerated ones that we can use to save time. But a homemade crust will work just fine also 🙂 Let me know how they turn out! Hey! I want to make these for thanksgiving but I have to make them the day before. Will they be okay in the fridge overnight? Absolutely! They will last in the fridge for a couple of days 🙂 Let me know how they turn out! I have a question about the sugar is it measured before you put it in the food processor or after? Hi Nacole, I measured the sugar prior to putting it in the processor. I made these for my Christmas party tonight, they are fabulous! I can’t wait for my friends to try them! Hello. Does the Pillsbury crust come in a can? Or is it a frozen pie crust in a pie pan? Thanks! Hi Lindsay, the pie crust comes in a box, it’s two rolled up pie crusts. You can always make your own pie crust if you’re not able to find the Pillsbury brand. Would baker’s ultra fine sugar work with this recipe? Do you really not bake these after adding 2 eggs? That worries me a little! Hi Bridget. I completely understand the worries! It is raw eggs. Which is the traditional way of making French Silk. 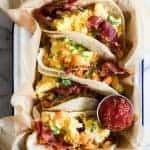 I have made these using a pasteurized egg product before, which you can buy in the market next to the eggs, it’s basically a safer way to use raw egg in cooking. They still turn out, but the texture is a bit grainier. If you used the pasteurized product I would recommend beating it a bit longer to try and get it smoother like it’s supposed to be. Hi! I’m going to make these for my daughter in laws baby shower. What size cookie cutter did you use? Yes, raw eggs gave me pause too when making hollandaise sauce but I haven’t had any issues from it, or other silk pies. Yummolicious! Hi Laura! These will be perfect for a baby shower! How fun 🙂 And here’s a link to the cookie cutters that I used: http://amzn.to/2nuhk1c, it’s an affiliate link just so you know. And I just got up to go measure the diameter of the one that I used for the pie crusts and then remembered I’m in the process of moving!! So my cookie cutters and my ruler are both packed, but I want to say that I used the 4th cutter, starting from the biggest. I would estimate it to be about maybe 2.5 inches across. I’m so sorry I can’t give you a better measurement. I hope that helps you though. Best of luck and happy baking! 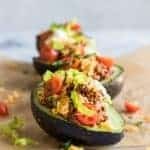 Is there a way to Pin this recipe? Is it mini cupcake size or regular cupcake pan size ? Hi Jenn, I used a mini cupcake pan to make these. Hi! 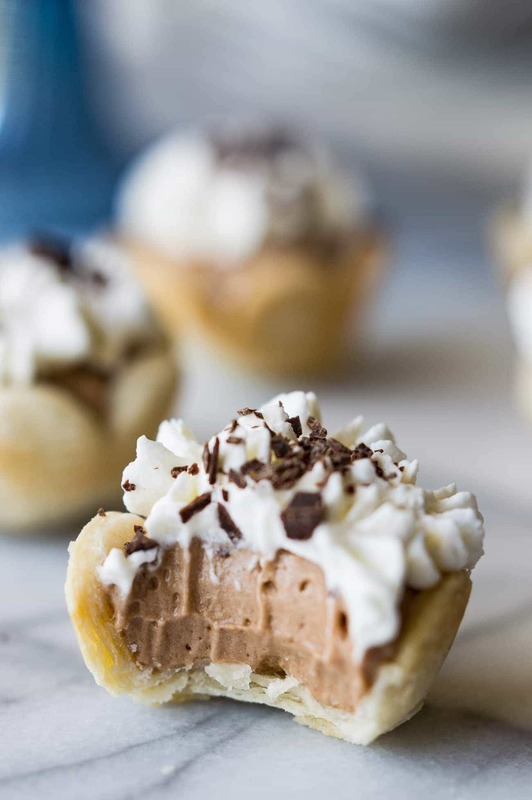 If making these ahead of time, say the day before, do you add the whipped cream to the top once chilled, or do you have to top the pies just before you serve them the next day? Curious whether the whipped cream holds its shape on the pies or becomes melty if added to the pies ahead of time. Thanks! Hi Jess! I actually had a batch of these in my fridge and I added some whipped cream in the morning and didn’t serve until later in the evening that day and the whipped cream held it’s shape. I wouldn’t leave the whipped cream on more than a day though. So just add the cream the same day you are wanting to serve. Hope that helps! Hi Lorraine, I haven’t tried freezing these before. And I’m not sure how well they would thaw out if they were frozen. If you try it out please report back to let me know how it goes. And next time I make a batch I will freeze a few myself to see how they do. Can you leave these out on a serving tray for any period of time during a party if they can’t be served right after taken out of the fridge? Yes! They can be left out for a party no problem. You just don’t want to keep them out for a whole day. 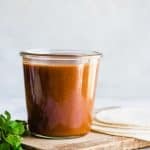 Can Stevia be used instead of sugar…I am a diabetic who loves Chocolate Silk! I haven’t made it using Stevia, so I’m not sure how it would turn out. Sorry! What kind of chocolate do you use for the shavings on top? Thanks! would these be ok to do in silicon dome moulds without the pie crust but a biscuit base? I would have to freeze them first them pop them out of the moudls, but would they hold the dome shape once thawed? I made these for Christmas and they turned out awful. They were hard, like solid fudge. I was so embarrassed because they looked good. I didn’t change or substitute anything. Major bummer. Without knowing all the steps you took, I’m not sure what happened. It’s possible you didn’t beat the mixture enough to make it light and fluffy, so when you chilled the chocolate it turned hard.